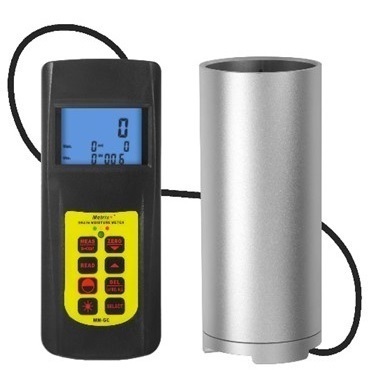 Used for fast and accurate measurement of moisture in the process of allotment, acquisition, storage, machining of packed grains, feedstuff, powder etc. Able to measure up to 22 species. Cup type measurement causes small error. With storage and statistical functions. Can store 240 groups of measurement. Use the exclusive Micro ComputerLSI Circuit and crystal time base of offer high accuracy measurement. It can obtain automatically the temperature corrected moisture Value. The range of Process & Analytical Instruments manufactured, supplied, traded and wholesaled by us at ​Valli Aqua And Process Instruments​, are amongst the finest, ever since our establishment in the year 2011. The offered range made available by us in the market, comprises the finest Portable Instruments, Process Instruments and Calibrators, which are highly acclaimed and asked for in the market. Manufacturing of this range is commenced as per the norms and guidelines of the industry, utilizing the finest technology and raw materials. This ensures the product’s performance, precision and service life. In addition to this, the offered range marked at the most reasonable rate possible. The state-of-the-art infrastructural facility at Valli Aqua And Process Instruments​, has been laced with all the machinery and equipment, needed for the facilitation of the firm’s predefined targets. For reasons of attaining better management of the firm’s operations, the facility has been divided into several units. To maximize our productivity and extend our reach in the market, the facility is upgraded on a highly regular basis. In addition to this, our ethical work practices have helped us generate a huge and highly reputed client base, comprising Poseidon, Aircel and Saint Gobain Glass India.